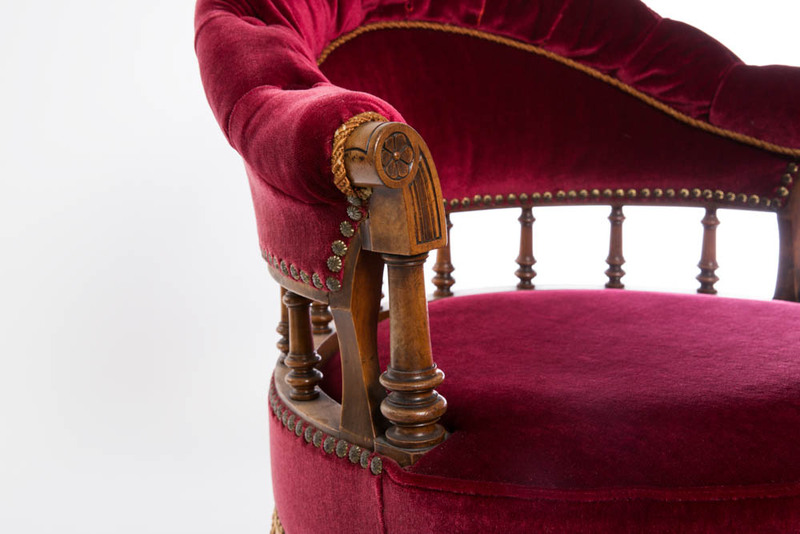 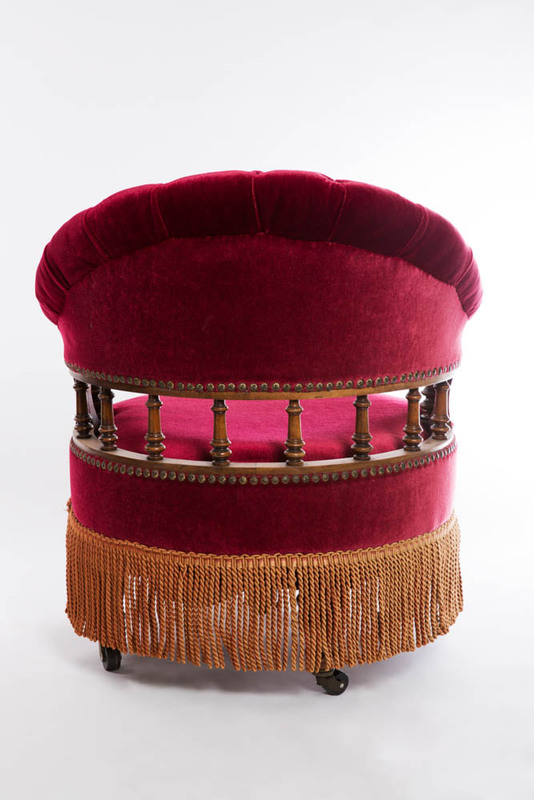 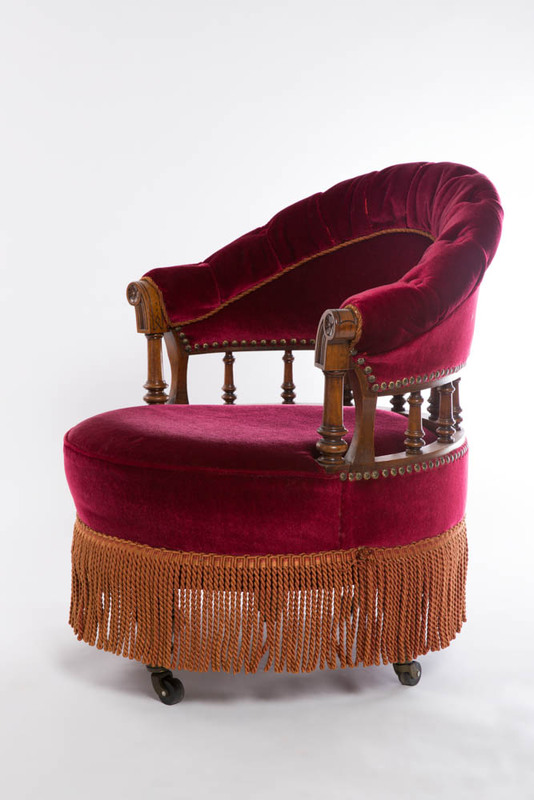 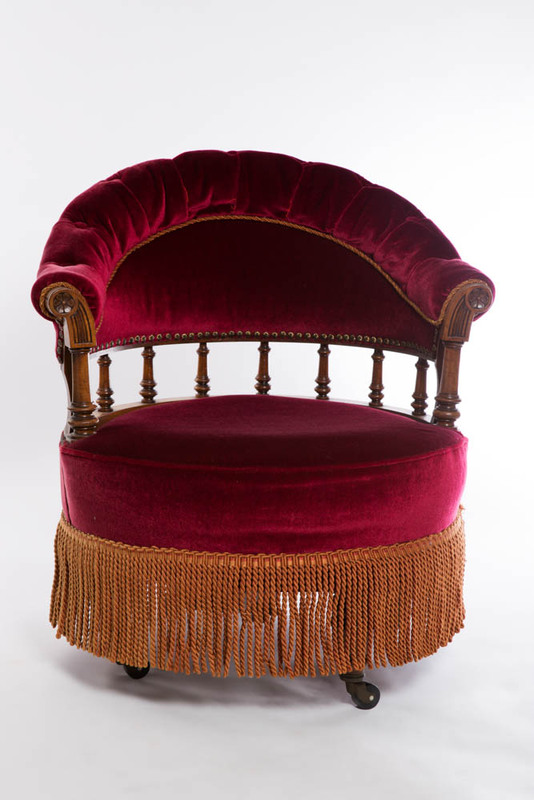 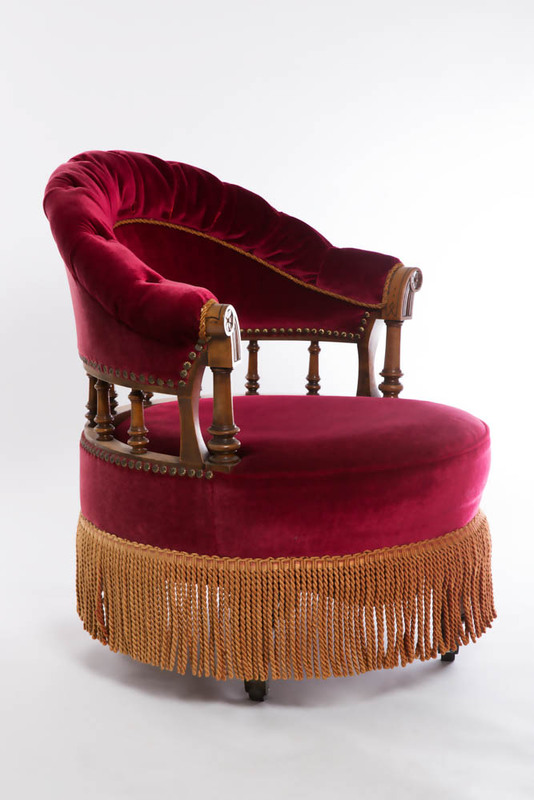 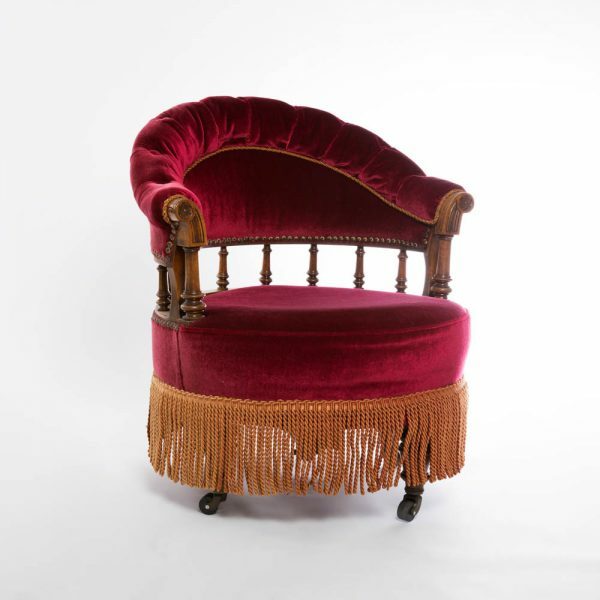 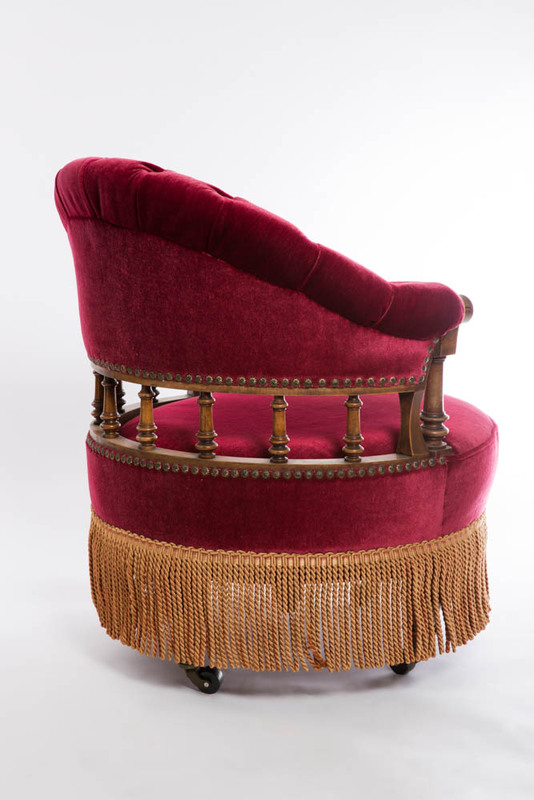 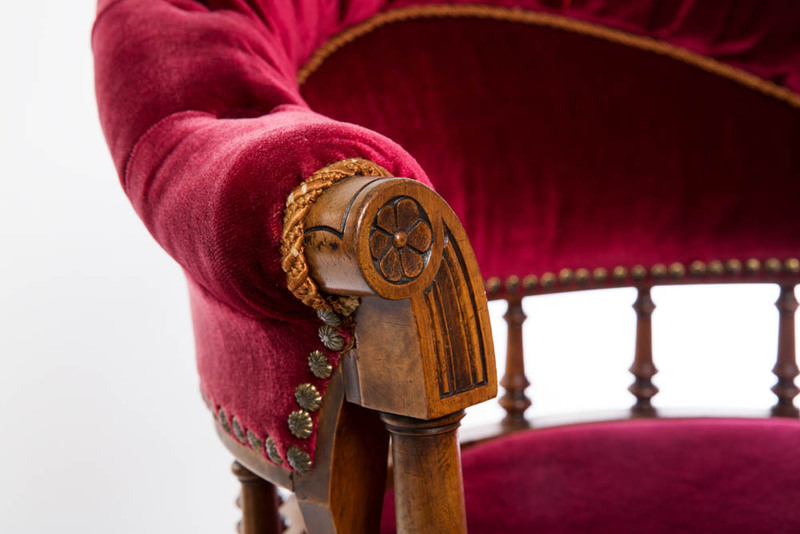 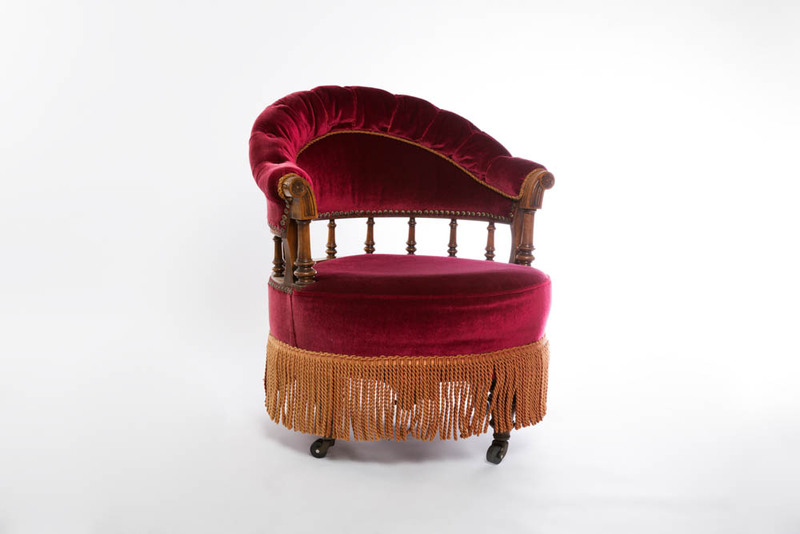 This small antique boudoir chair gives instant style in every living room, bedroom or boudoir. 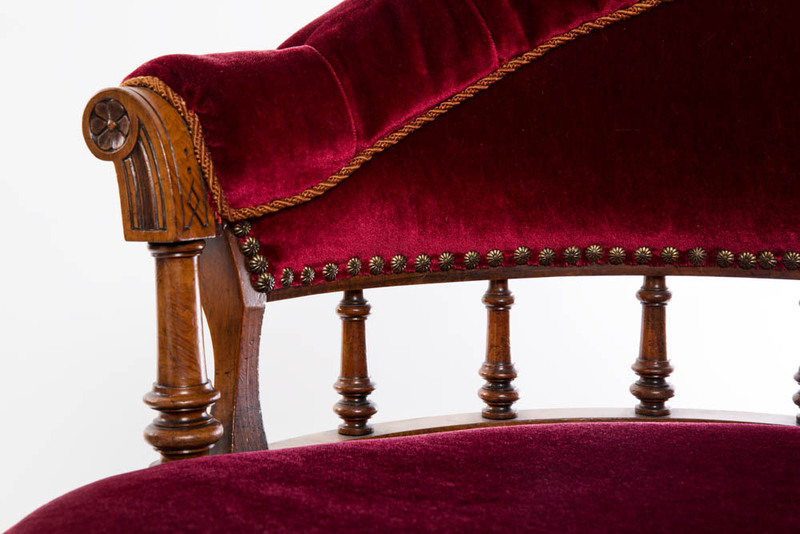 Romantic and a showcase of English craftsmanship. 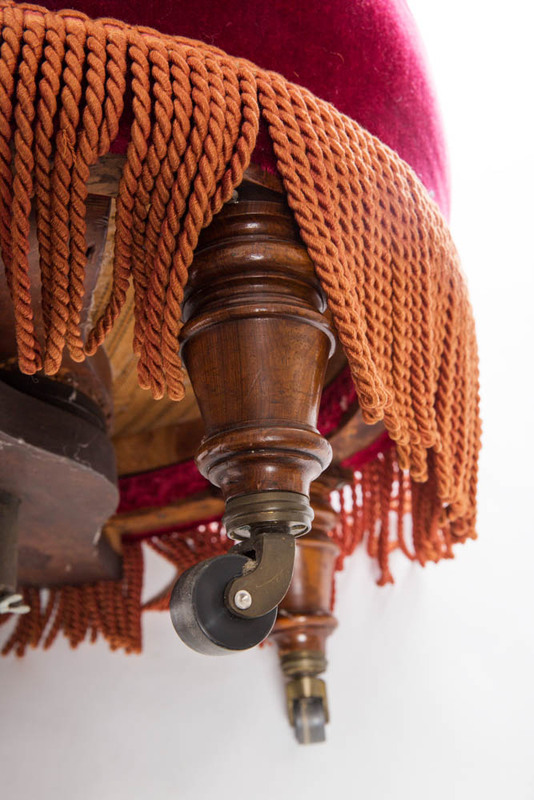 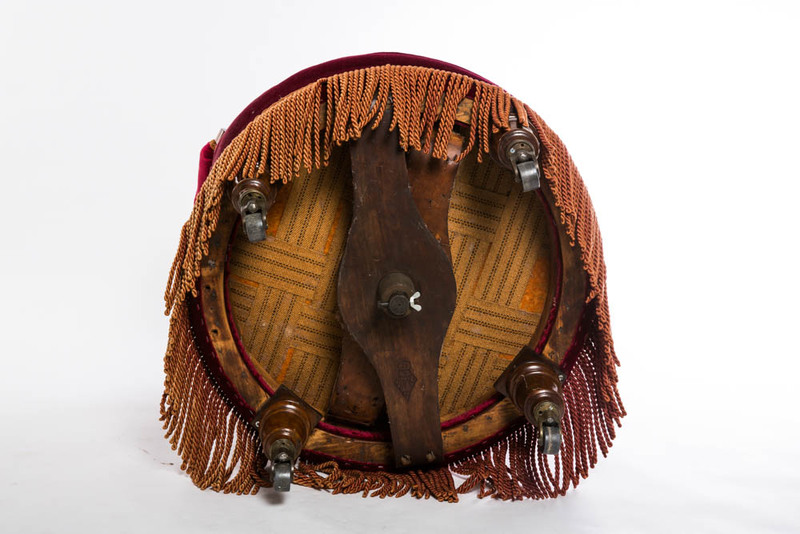 The chair has new casters which indicates hat it must have been refurbished in the past. 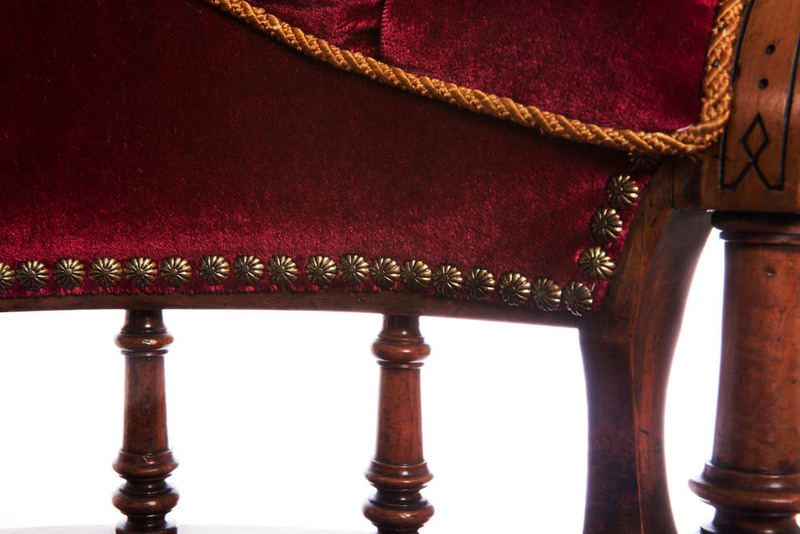 Including an English registration mark which dates the boudoir chair 7th December 1880. 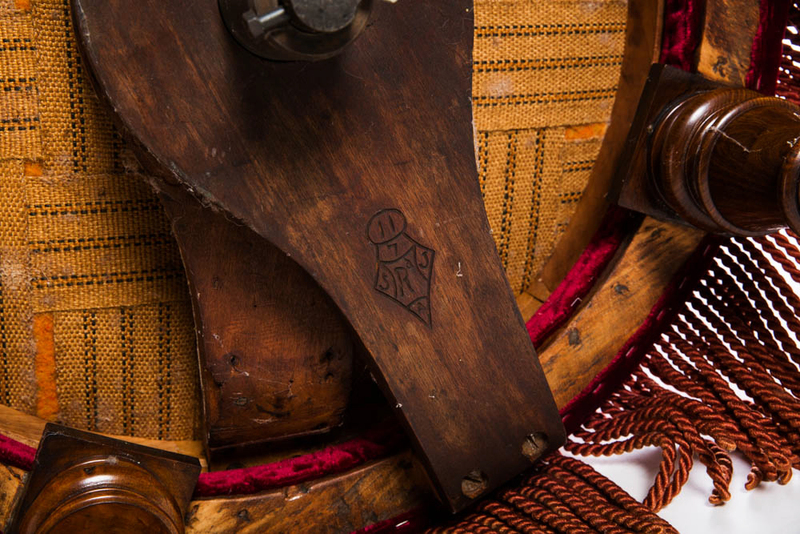 We wrote an interesting blog post about how to read the registration mark. 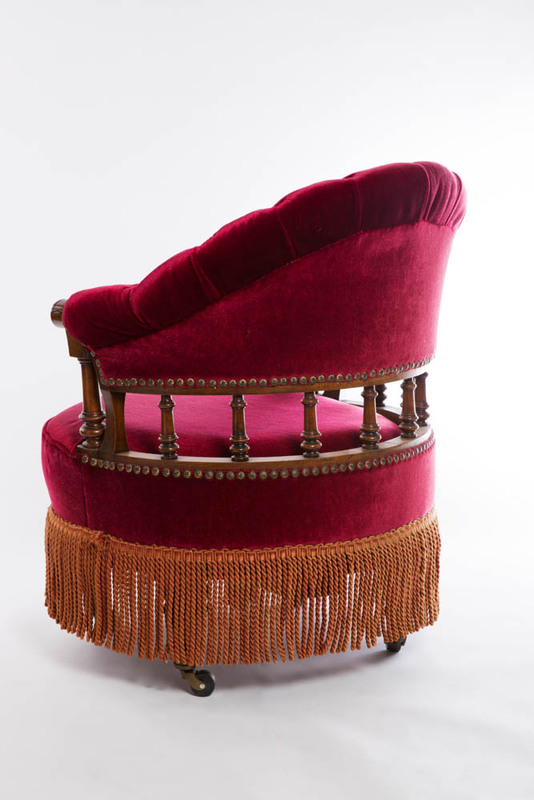 Please inform for a shipping quote.